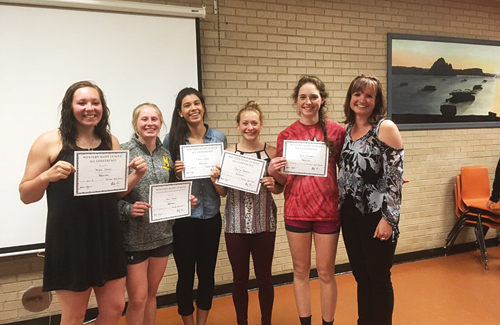 Several members of the Meeker High School girls’ basketball team and their coach were recently honored by the Western Slope League. Megan Shelton, Kenzie Turner, Tori Lasker, Gracie Bradfield and Julia Dinwiddie were all named to the WSL All-Conference team (Turner was honorably mentioned) and their coach Jamie Rogers was named the Coach of the Year. The lady Cowboys, who finished second in the WSL, second in the district and second in the state-qualifying regional tournament, will return all of their all-conference players to next year’s team.